When you start researching tech careers and the skills required to build one of your own, you’re bound to notice references to two prominent tech roles: web designers and web developers. But what IS the difference between a web designer and a web developer? If seeing these two job titles mentioned side-by-side with no explanation has you thoroughly confused, don’t sweat it. 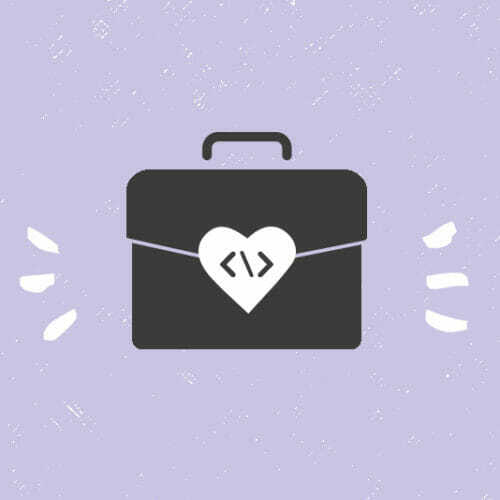 Given the fact that Skillcrush’s web developer course is one of our most popular—and we’re about to launch a new web design blueprint—we figured it was about time to answer the question once and for all. This handy guide walks you through the details of each role, plus covers some distinctions you may never have considered. 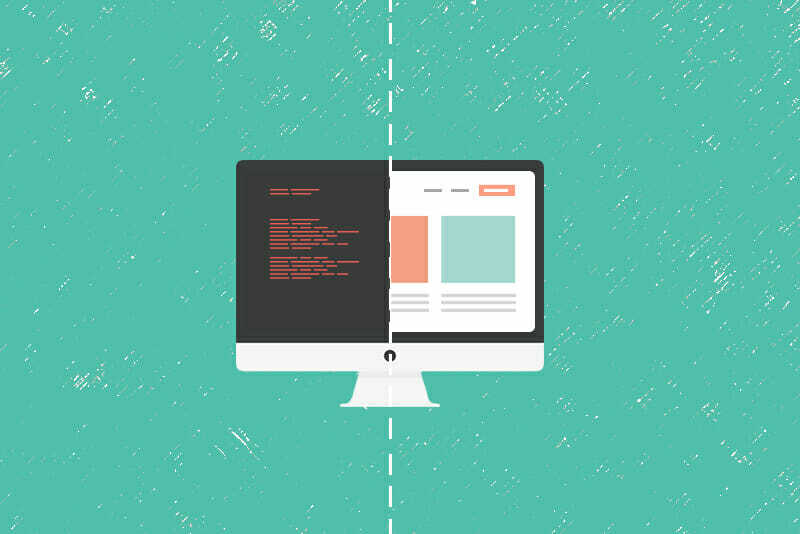 Is a Web Developer the Same as a Web Designer? Web Designers are creative, digital professionals who craft the overall vision and plan for a website. Web design is less about using code to bring a website to life, and more about determining a site’s layout, color palette, font sent, and visual themes which can THEN be brought to life with code by (you guessed it!) a web developer. Web Developers (sometimes called Front End Developers) are the computer programmers who take the plans and layouts provided by web designers and use coding languages to turn them into live, functioning websites. In other words: web designers are to architects as web developers are to construction companies. Just like with print design, the layout of a website is as important as the content it presents. You need to arrange the website’s images, text, video, and menu options in a way that allows for efficient navigation by users. Familiarizing yourself with best layout and navigation principles, like those illustrated in this UX Booth article, is key to successful web design. In addition to layout and navigation, color and typography play a deciding role in effective web design. Even the world’s most brilliant layout can vanish courtesy of clashing colors and unreadable text. Certain color and typography choices are a subjective part of the design process, but there’s a whole science of color choice that can (and should) inform web design. Hence why your toolkit should include color theory if you’re interesting in seriously pursuing web design work either full-time or as a freelancer. Similarly, you can’t just wing it with web typography In addition to making web pages easier to read and more appealing to users, the right font size and style choices can directly affect the ability of search engines to index and rank your website. In the early days of web design, most of us were looking at sites from our desktop computers. Fast forward to 2018, and 52 percent of all website traffic is now served to mobile phones, making “mobile first design” the web design standard. This means creating your website designs with the smallest display screens in mind, and working outward to bigger screens from there. Our curriculum team uses water in a glass as an example. When you pour water into a glass, the liquid conforms itself to the size and shape of the glass being used—which is the whole aim of mobile first design. A website that looks spectacular on your phone’s screen should seamlessly expand into a spectacular experience on your desktop, and vice versa. This UX Pin article gives a look at the kind of specifics that go into mobile first design—a skill you’ll need if you’re interested in working as a web designer. Yep, wireframes and prototypes are two more critical web design tools. A website wireframe is a visual map that lays out the skeleton of a website. By creating wireframes, web designers are able to visualize and plan out the way a site will be arranged, including placement of text, images, menus, videos, animated graphics, and interactive user forms. A wireframe also allows web designers to share their site plans and progress with developer teams, clients, test users, and other stakeholders. A prototype is a more developed website model than a wireframe. Prototypes can be used for site testing before a site’s final release. Based on where a site is in its development cycle, a website prototype can consist of anything from a mockup sketch on paper to a fully functioning digital model. Knowing how to create wireframes and prototypes, as well as how to use them to collect user and shareholder feedback is another key component of web design. This article from Smashing Magazine gives a rundown on the benefits of each kind of model. When you’re ready to get hands on with these (and other) web designer skills, look no further than our Web Designer Blueprint. 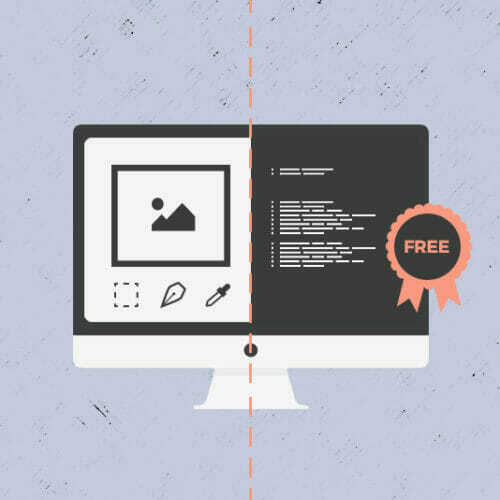 Our instructor-led course will take you step-by-step through every single needed to break into the web design field. If you’re considering a job in web development, HTML and CSS are two computer languages you need to learn right off the bat. HTML (which stands for HyperText Markup Language) is used to define the parts of individual web pages. HTML tells web browsers which part of the page is a header, which is a footer, where paragraphs belong, and where images, graphics, and videos are placed so everything displays properly on the user’s phone, tablet, or computer screen. CSS (an acronym for Cascading Style Sheets) is a sister language to HTML. While HTML controls page layouts, CSS is used to (surprise!) STYLE those formatted pages. CSS defines things like a page’s fonts, background colors, and paragraph formatting. These two languages alone are enough start coding basic, static, websites—which can put you on the road to doing your first paid development work. And for some extra good news, through courses like our Front End Developer Blueprint, both of these languages can be learned in a matter of weeks. This means that someone with zero coding skills can put together a WordPress site with premade WordPress themes and templates. However, with languages like HTML and CSS, you can create your own themes and modify existing ones, turning WordPress into a powerful tool for website customization. 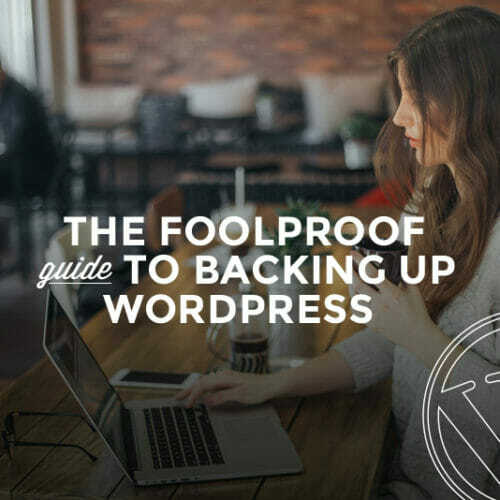 WordPress sites are a popular alternative for clients who don’t need a site built from the ground up, or who want to be able to update content on their own later on (something the WordPress platform makes very easy to do). All of these developer skills (and more) are covered at length in our Front End Developer Blueprint. 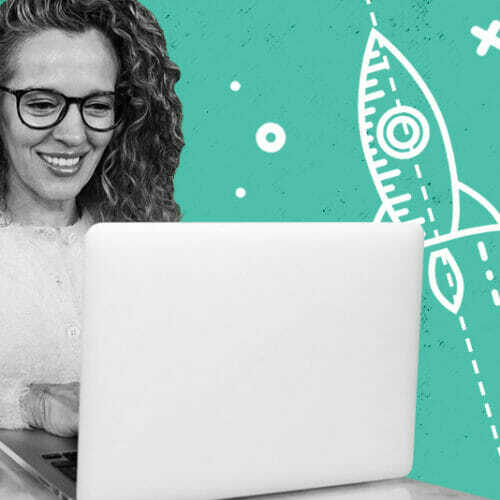 If you’re ready to dive into web development once and for all, sign up for our instructor-led courses and let us show you the way. Web Designer and Web Developer Salaries: What’s the Average? And now the question everyone’s been waiting for: if web design and web development are two different roles, what’s the difference between a web designer and developer salary? The good news is, both jobs pay a significant average salary. However, one does clock in at a higher average rate than the other. According to Glassdoor, average base pay for web developers amounts to $93,402 per year, while web designers can expect to see a yearly average base salary of $64,468. One caveat: how much you will make as a web designer or as a web developer will vary based on region as well as experience and job title (you can use a salary calculator to determine what to expect and/or what to ask for), but compare it to the $52,589 average Glassdoor lists for graphic designer base pay. Putting in the effort to pick up those programming languages and developer skills will boost the sum of your paycheck without sacrificing your hankering for creativity. So how do you know which of these paths is the right one for you? It all comes down to your own career interests. If you’re a creative person who’s drawn to things like fashion, art, and architecture, or if you already have background in print design, web design might be a perfect career pivot for you. And if you’re someone who loves problem solving, research, and implementing design plans, you could do a lot worse than web development as a way to pay the bills. Finally, don’t forget that it’s totally possible to blend these two paths. There’s nothing to say that a web designer can’t learn HTML and CSS, and add development capabilities to their arsenal, just like there’s no hard and fast rule that developers can’t work on their design skills and offer a full suite of design and development options to their clients. It’s all up to you and where you want your tech career to go.